My new journey is yoga and dog training. I took sometime away from work and went to yoga class almost every single day. I was amazed at the shifts that were created for my life in such a short time period. 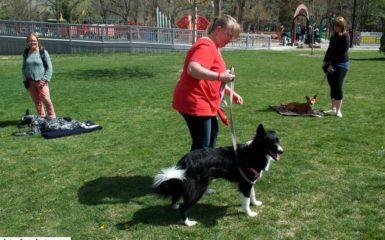 What I was more amazed about is the paralells with yoga and a good dog trainer. This week I thought I would share those with you. 1.) Listening to your body. Your body always knows what to do and always has the answers. When we are in tune with what our bodies are telling us then answers flow easily through us when we are stuck in struggle with dog training. I had a client that fully went into a meditative response and came up with an answer on how to handle their dog that began to bark at bikes. By the next week the issue was resolved. Check in with yourself. This also goes to speak that if something feels like a “no” don’t do it. Especially when we have a fearful dog or an aggressive dog. If we feel it is a bad day to walk in a certain area then listening to that is a good idea. 2.) Being in a state of observing and allowing. Wanting to constantly change our dogs can be stressful. Sometimes it is best to observe what is going on rather than trying to fix everything. When we allow something to “be” solutions can come as well. When my dog first began to become fearful with cars I wanted to fix it. When I shifted into a place of allowing the fear significantly decreased. I was no longer trying to fight it. Yes, I am still training him and from a place of allowing. 3.) Coming from a place without judgement. The more we judge our dogs the more we create what we don’t want. Remember we can observe without judgement. This is simliar to #2. 4.) 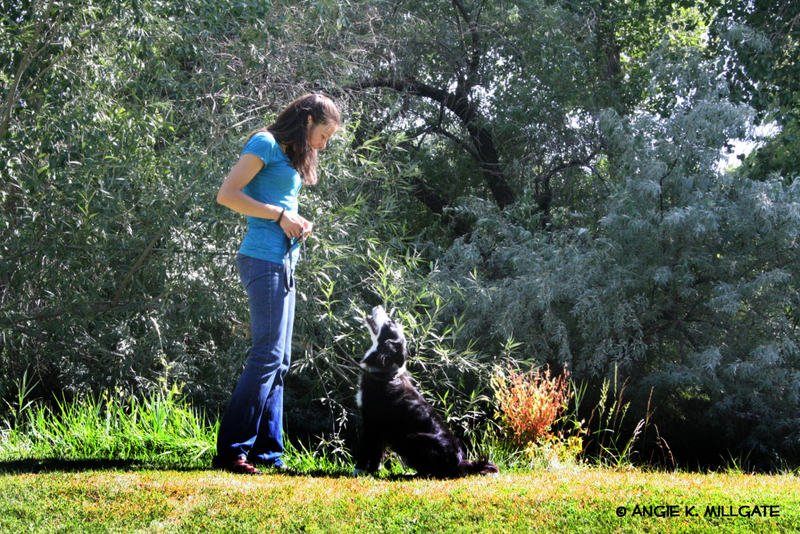 Doing things we enjoy brings us more alignment with our dogs. I enjoy yoga, and I notice my training with my dog was easier especially on yoga days. The more things I do that I enjoy, the happier my dog and I are together as a team. 5.) Avoid pain. Pain is not a good sign in yoga and it isn’t in dog training either. 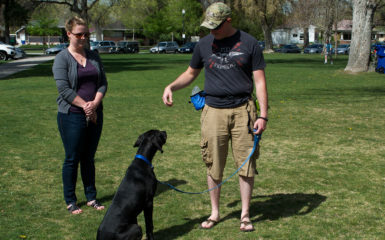 Dog training should be fun and easy. 6.) Deep breathing is important. 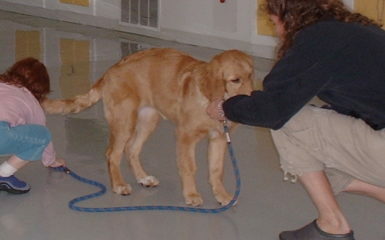 When we carry our fears, sadness, anger, etc into our training sessions with our dogs our results are less successful. Taking time to breath through our bellies is important as it allows the emotions to move through us. Emotions are just energy in motion. 7.) Baby steps are important. As I am doing yoga I am finding many positions to be uncomfortable for me. As a result, I do an approximation and as I get stronger I will do the terminal pose. Dog training is the same. I wanted to write the post from a different perspective this week. 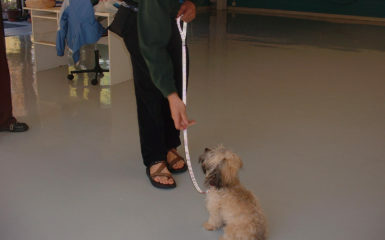 I know many of my clients do yoga and when we take the attitude of yoga into dog training it is so much easier.